This year, San-X and Tower Records came up with a new summer collaboration project:　きらっきらのアイドル Kirakira Idol Project. Look at how glamourous they look below! 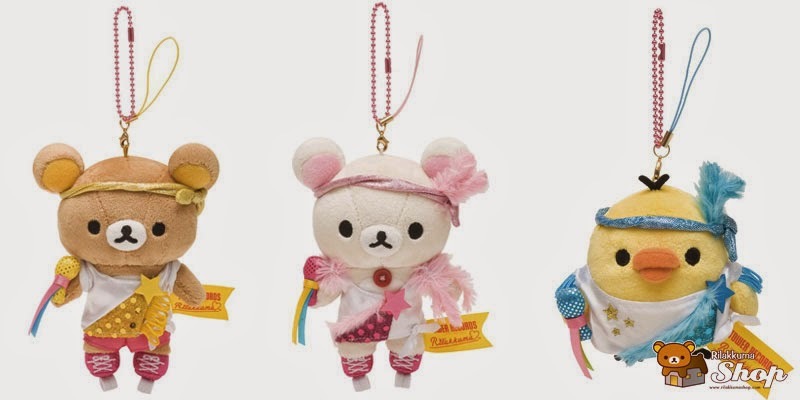 Both Rilakkuma and Korilakkuma are wearing roller shoes and only Kiiroitori is on a skate which made sense as his feet are too small to fit into shoes. (ᗒᗜᗕ)՛̵̖ Also, their get up kinda reminded us of the 70's singers outfit, which made the whole stage look retrolicious. 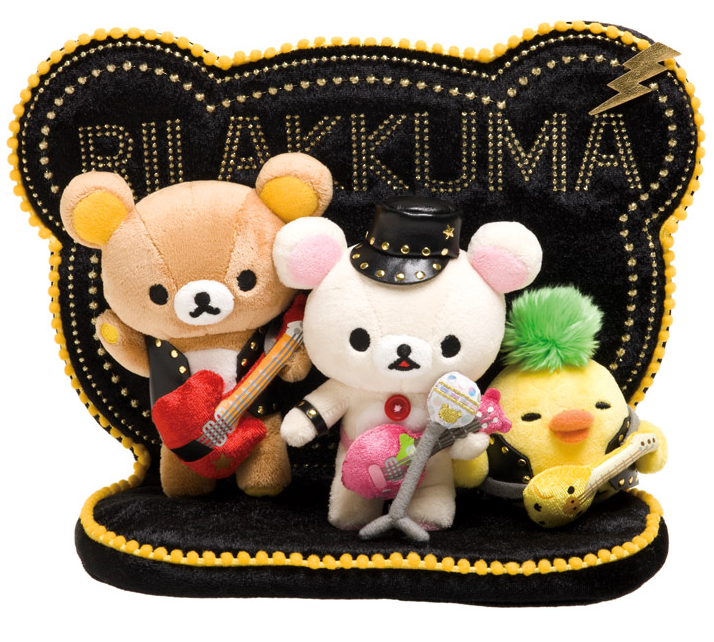 In the 2013 collaboration, Rilakkuma, Korilakkuma and Kiiroitori were designed to be punk rock stars with the black and yellow rocker stage and Kiiroitori was given a "mohawk" hairdo. 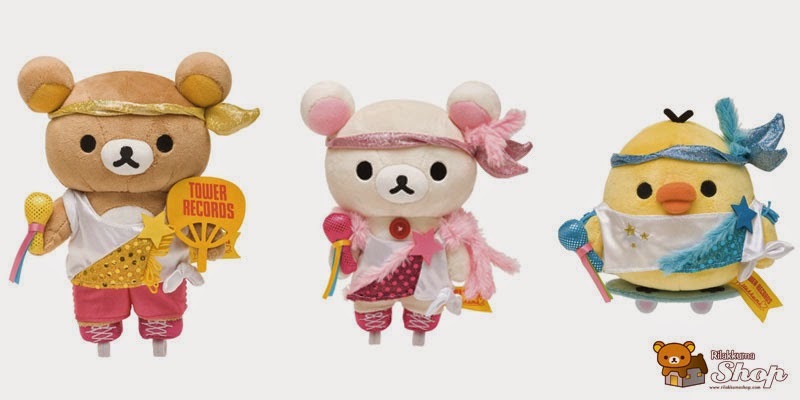 And Korilakkuma was the lead vocal singer, which was refreshing to see as Rilakkuma is usually the main character among them. 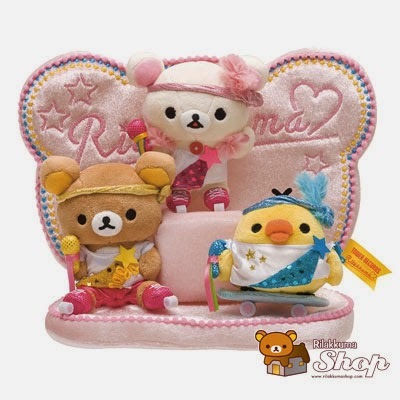 Like last year, San-X gave Rilakkuma and his band mates (Korilakkuma and Kiiroitori) a big stage for their performance. 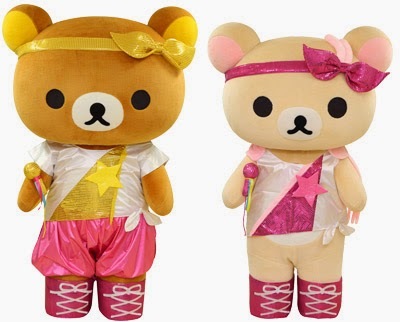 Similarly, the stage is set to be the head of the bears and each of them have their own unique suits. 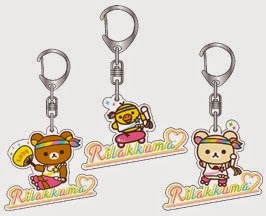 It seems that Korilakkuma is once again the lead in the group and Rilakkuma and Kiiroitori are the support members. Individual plushies are also available for purchase and they are slightly different from those on the stage. Which makes us wanna get them all! Apart from the usual plushies, San-X also released hanging plush charms and other items that are super cute. Especially the pin badges are really really attractive! We are trying to get our hands on some of these to be pinned on our tees or caps. 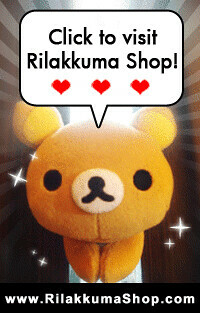 Who doesn't like life size Rilakkuma?? We know we do! These mascots are going to be on Relax Tour 2014 this whole month! Hehe, even the event is a "tour" to fit the theme. The tour schedule can be found here. If there is any one who is going to be visiting these lovely mascots, please send your photos to us to share! Though Kiiroitori is not moving but he is super cute in that outfit! We want that Kii-chan! 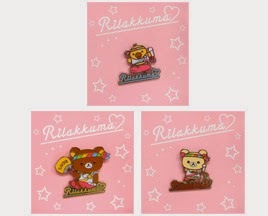 And Rilakkuma totally swept the hearts of many fans at the events! You can hear them laughing and saying "kawaii" all the time! 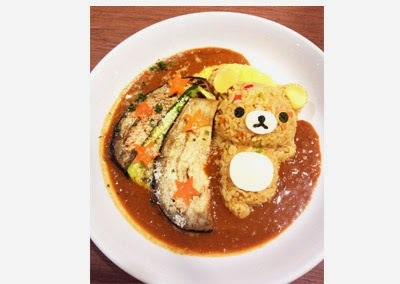 Other than merchandise collaboration, San-X and Tower Records are working together for a Rilakkuma theme cafe event. 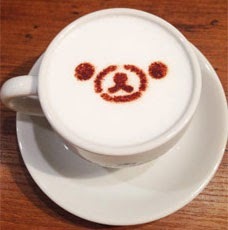 Have a relax day everyone!